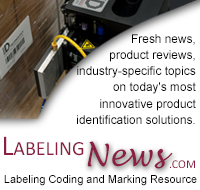 For pharmaceutical products, labeling has become a critical component of production. The drive to adhere to government mandates requiring the implementation of E-pedigree or Track and Trace labeling solutions in order to provide a precise history of the product's location, increases the importance of reliable pharmaceutical labeling. LSI not only provides state-of-the-art pharmaceutical labeling equipment that can handle the task of applying labels at high speeds, but we also carry the best RFID and barcode technology that makes Track and Trace serialization easily manageable. By 2015, the California State Board of Pharmacy is requiring that 50% of all pharmaceutical products be serialized, with the remaining to be serialized by January 1, 2016. Such a task cannot be handled by a label applicator alone. A full Track and Trace solution with product handling and data management is needed. We provide top components that will make your Track and Trace initiative successful. LSI has 27 different application modules that provide tailored label application for your production line. If your product requires a more custom solution, we'll work with you to design a labeling system that fits your production line. Our own research and development laboratory allows us to create state-of-the-art technology that's able to withstand the demands of a 24/7 line. Contact a Sales Representative to discuss your pharmaceutical labeling needs.